Few days ago Microsoft announced that they are launching Community version of their Visual Studio to replace the Express Edition that has until now been the only available free solution of Visual Studio. The main difference however, is in that that the Community is full Visual Studio without any restriction while the Express was only partly solution if you needed something done. It also supports extensions, thus you will be able to load any of the 5,100 extensions located at Microsoft’s Product and Extensions for Visual Studio page. Q: Who can use Visual Studio Community? Any individual developer can use Visual Studio Community to create their own free or paid apps. An unlimited number of users within an organization can use Visual Studio Community for the following scenarios: in a classroom learning environment, for academic research, or for contributing to open source projects. For all other usage scenarios: In non-enterprise organizations, up to 5 users can use Visual Studio Community. In enterprise organizations (meaning those with >250 PCs or > $1MM in annual revenue), no use is permitted beyond the open source, academic research, and classroom learning environment scenarios described above. Q: How does Visual Studio Community 2013 compare to other Visual Studio editions? 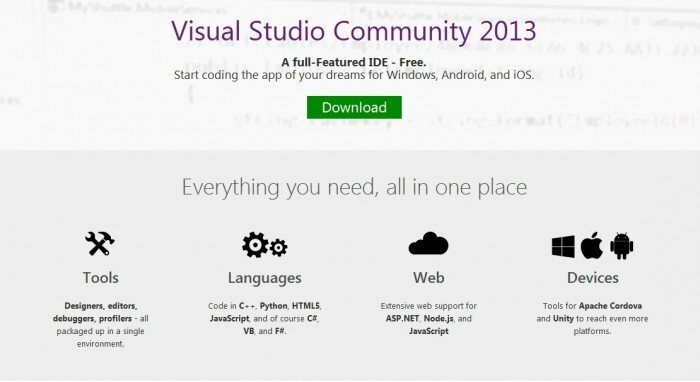 A: Visual Studio Community 2013 includes all the great functionality of Visual Studio Professional 2013, designed and optimized for individual developers, students, open source contributors, and small teams. 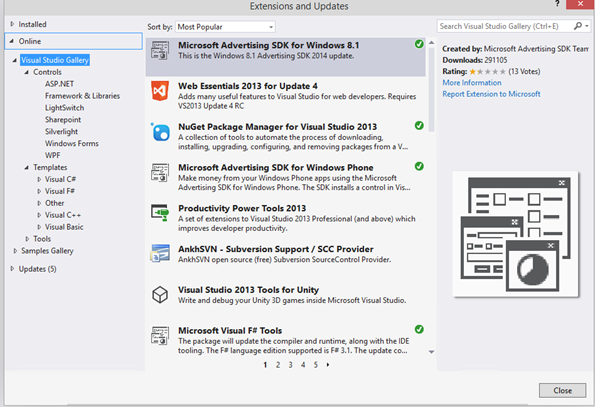 Q: How do I create a Visual Studio extension? A: Millions of developers use Visual Studio extensions every day. Check out http://integrate.visualstudio.com for more information on building on any of the Visual Studio development tools and services. This is great news for all programmers out there using Microsoft’s products along with Visual Studio since it will decrease costs of developing new applications. We can expect to see a batch of new applications coming up soon from both the well known and new developers.